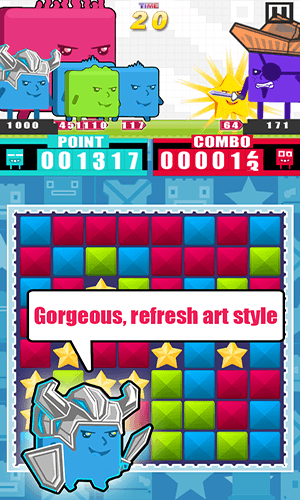 Hero of Cubic: Be Available on Google Play Now! 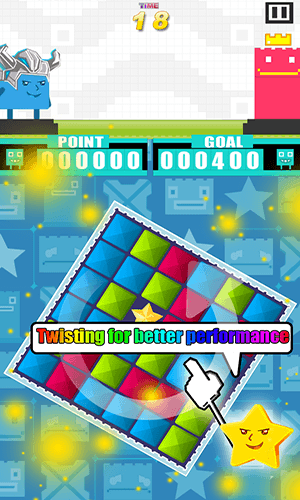 New matching puzzle game-Hero of Cubic is finally on Google Play Store. So far up till now, it is available both to Android and iOS players. Hero of Cubic is a new matching puzzle game, it is interesting as well as hard and challenge where you have to assist the Cubic community to beat the enemy tribes in over 120 battles. So far it feels good. Hero of Cubic is a fresh matching puzzle game with a simple, original, and aggressively challenging gameplay. 120 levels for you to travel through in the premiere version, Hero of Cubic has more to offer in the near future. 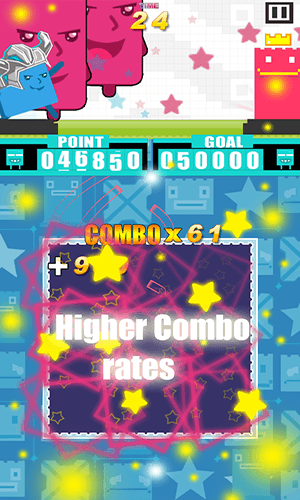 The premise of each level is to get the score which is greater than or equal to the target. 4 blocks of the same color together forming a big square (2 by 2), players may achieve this by touching the small blocks to make them disappear, or by twisting the playing area either to the left or to the right to change the way the blocks fall against each other. Minimum Android Version：2.3 Or later.